Back in the 1960s, Toho Studios produced a King Kong vs. Godzilla movie that was pretty much everything we could have wanted in the 1960s out of such a movie. Monsters clashed. Depending on which film market you lived in, your favorite monster won. And everybody watched it on late-night TV when they were kids. 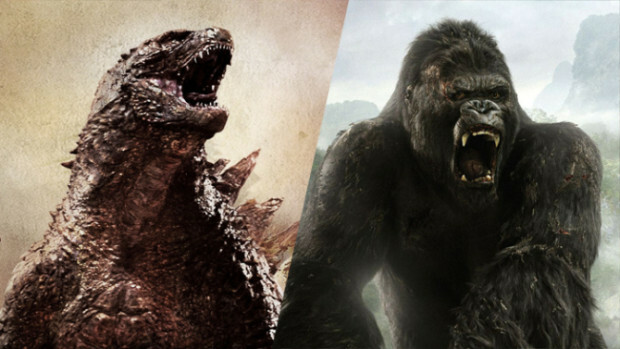 Today Legendary Productions and Warner Brothers Entertainment announced the latest in their joint ventures of “kaiju” films – Godzilla vs. King Kong, set for release in 2020. Variety broke the story. The two companies have gone for broke in creating a franchise around Monarch, the organization that first discovered Godzilla in last year’s film. In addition to 2018’s Godzilla 2, directed again by Gareth Edwards, production starts this month on Kong: Skull Island, a prequel to the story we know from King Kong, starring Tom Hiddleston, Brie Larson, Corey Hawkins, and Jason Mitchell. Until recently, those two films were set up at Universal Studios. For reasons that are escaping us, Legendary, which famously left its partnership with Warner Brothers a few years ago after producing the Christopher Nolan Dark Knight trilogy and Man of Steel. The kaiju films were a sign that the company could move forward with new franchises. It does sort of make you wonder if Pacific Rim could play, too.